Who would think that my new DIY craft obsession would involve Duck Brand® products. It started over Halloween and I could not stop making crafts out of Halloween Themed Duck Brand® Duck tape. 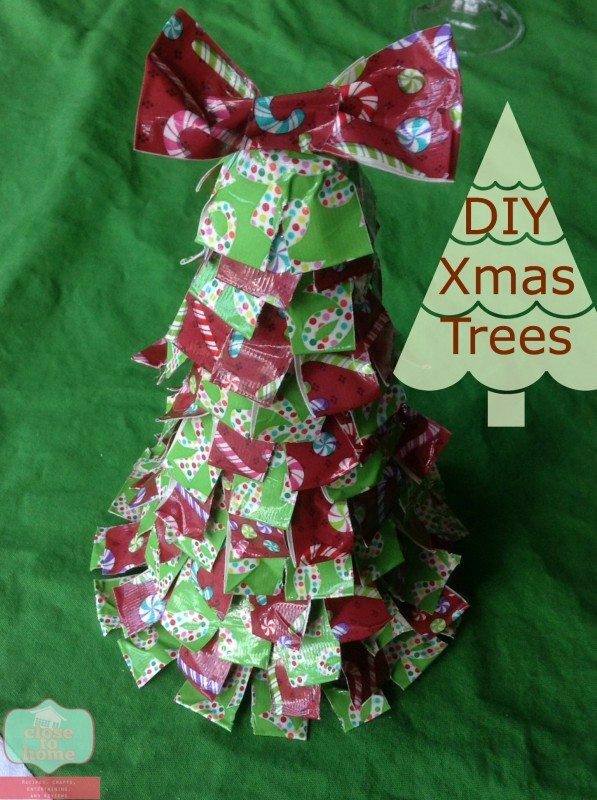 Be sure to check out the fun and easy Holiday Duck Tape crafts. Well guess what showed up at my door right before Thanksgiving? 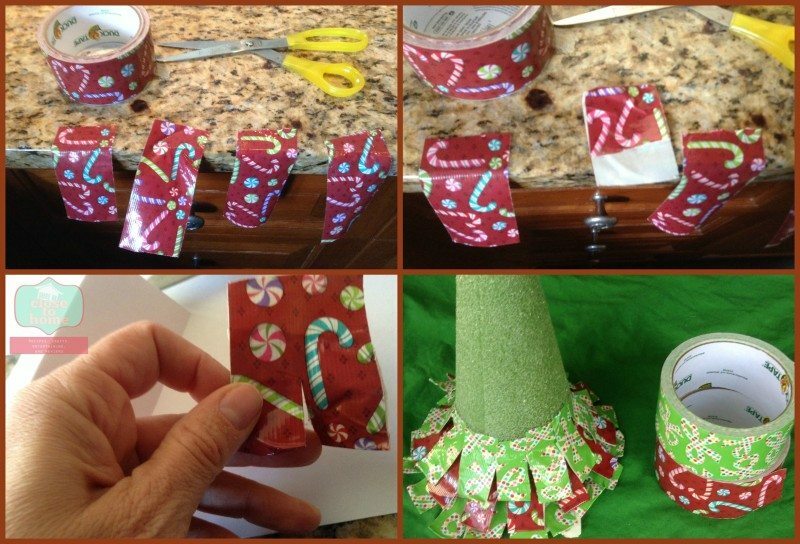 You got it ,rolls and rolls of New Holiday themed Duck Brand® tape in such cute designs. Now how will I Duck the Halls? Start by making 3 inch strips of tape, I found my counter to be a great work station. Fold the tape pieces 3/4 up. Cut them in half and just rip to separate. It took me a while to realize they will rip in a straight line once you cut them. 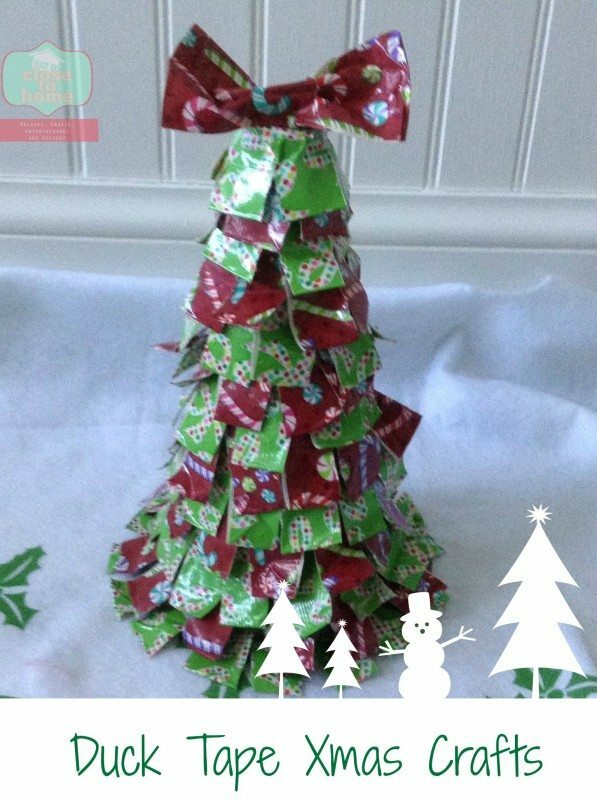 This saved a lot of time with scissors. Told you this was super simple. 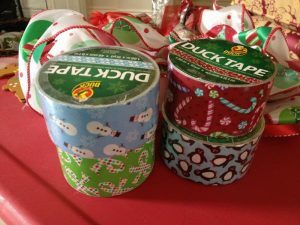 Which Duck Brand® Holiday tape do you like the best? How will you Duck the Halls? That is a really adorable craft. And, how unique! I love duck tape! 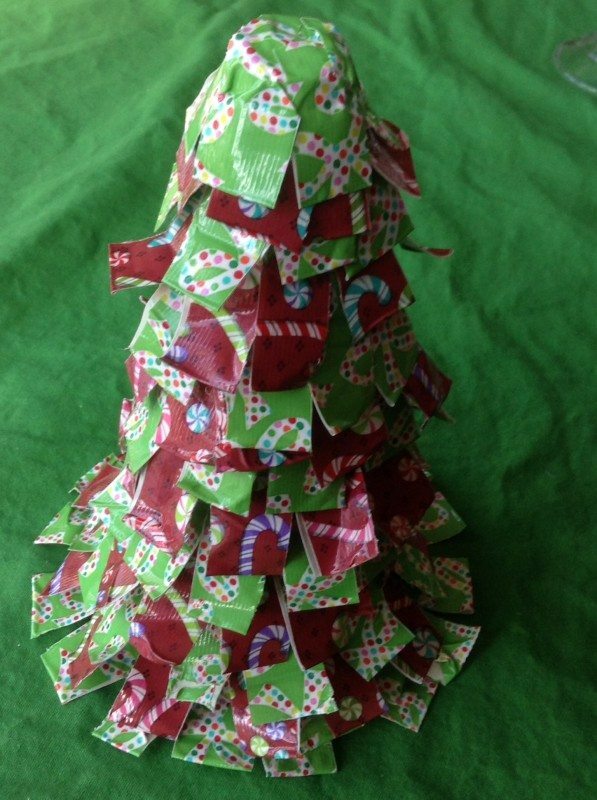 This cute little tree would be so much fun to make with the kiddos. Thanks for sharing at the Home for the Holidays Link Party. Yes they can be so colorful around the house or even as gifts. My youngest is asking for a wallet, might have to try that. Do you know where to find the directions? I would love to see his back pack what a creative young man. This is perfect to keep all the kids occupied! I have to look for some of these designs next time I go to the store. I thought I was looking at something my son made!! 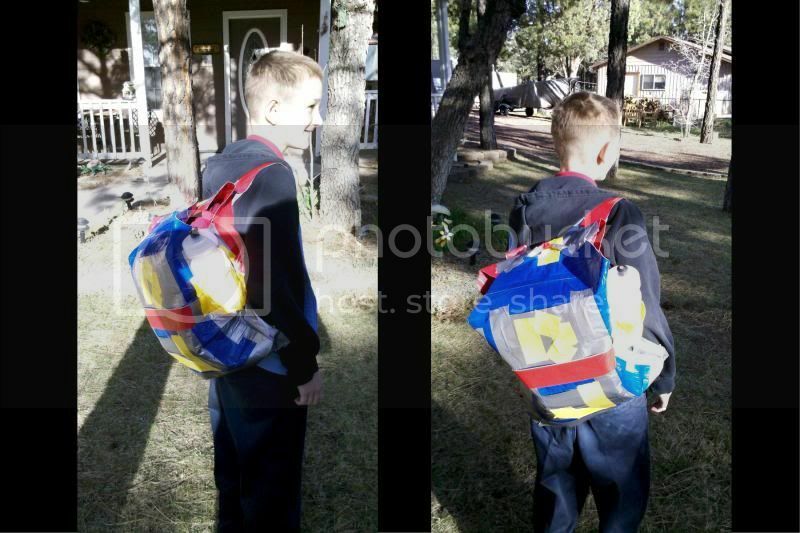 ha/ha He’s a duct tape guru and made his school backpack out of duct tape – crazy!! Love the post! My 14 year loves duck tape and his friend made him a wallet. I will show him this, maybe he will make it. How cute are these! I think I will do them with my kiddos! Such a cute idea! My kiddos aren’t into the duck tape crazy yet. Might have to try these on winter break. thanks!